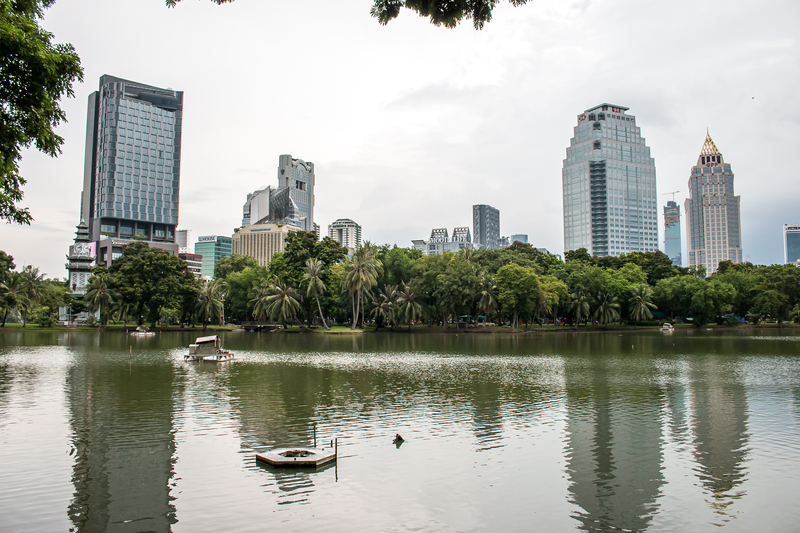 This post shows the juxtaposition found between two areas of Bangkok that sit side by side, yet seem so opposite to one another; Lumpini Park and the Silom District. 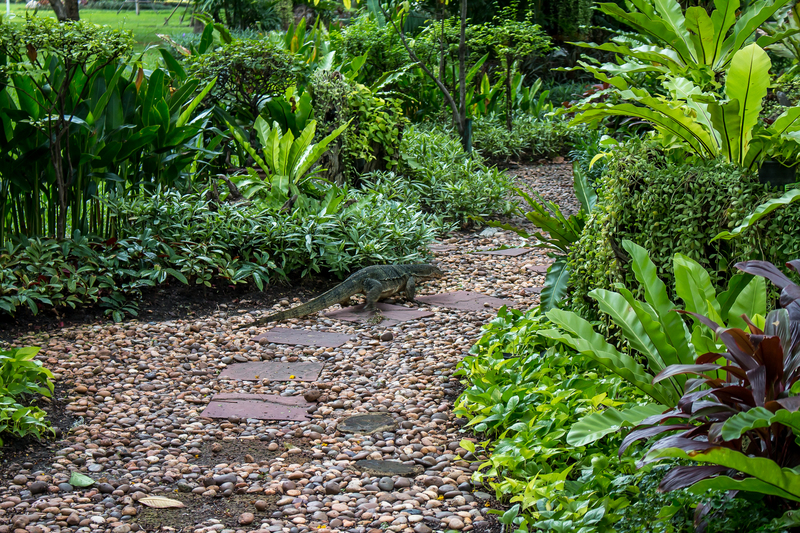 Lumpini Park, home to a multitude of plants, birds and giant iguanas that bask out in the sun and slowly plod on as king’s of the park, is a place of calm and tranquility away from the madness and bustle of the city. 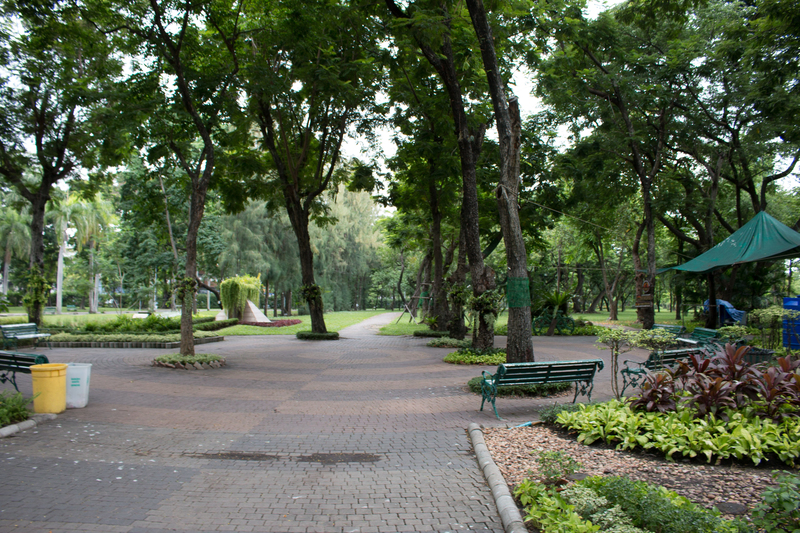 Somewhat like Central Park is to New York (although on a much smaller scale), Lumpini park is a place of escape; a place where locals go jogging or practice thai chi, where children ride bikes and where families go out on the giant swan pedalos. 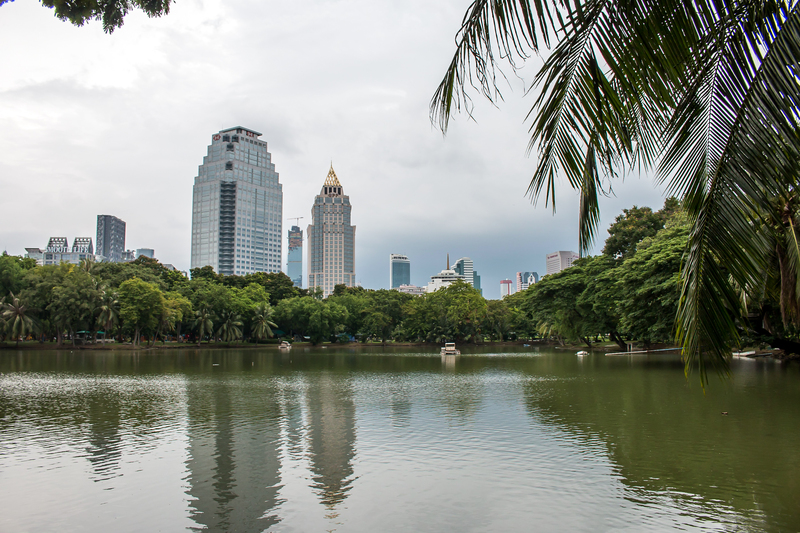 The park holds lakes with fountains, benches galore and numerous things to look at and distract from the towering buildings that lurch above. It’s a great place to step back from the city and to enjoy an hour or so of serenity – it’s the closest you’ll probably get to silence for miles around, but even here the honks of horns, or wails of distant sirens are still ever present. If you’re nearby, pay the park a visit, even if you just decide to walk through. It’s a nice juxtaposition to the crazy world that lies outside of its walls and I’m sure is a place where many thai people find solace. 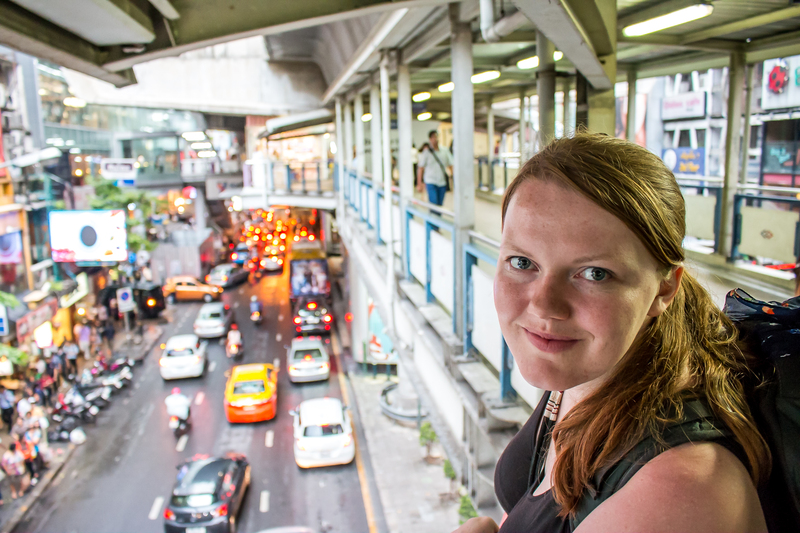 Leave the park and cross the road and you hit the dramatic contrast of the Silom district; one of the main financial districts in Bangkok. 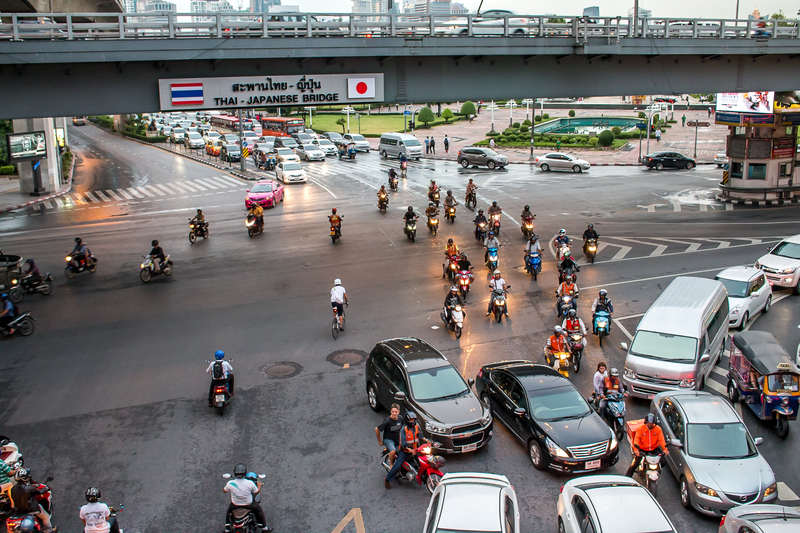 Silom, with many bank headquarters, financial institutions, office buildings, fine hotels, shopping centres and restaurants is a bustling hive of activity. Bright neon lights, traffic jams, queues of commuters, men in suits, tourists, taxis, mopeds, trucks, tukuks, street-food vendors, shoppers; and it’s not just during the day. 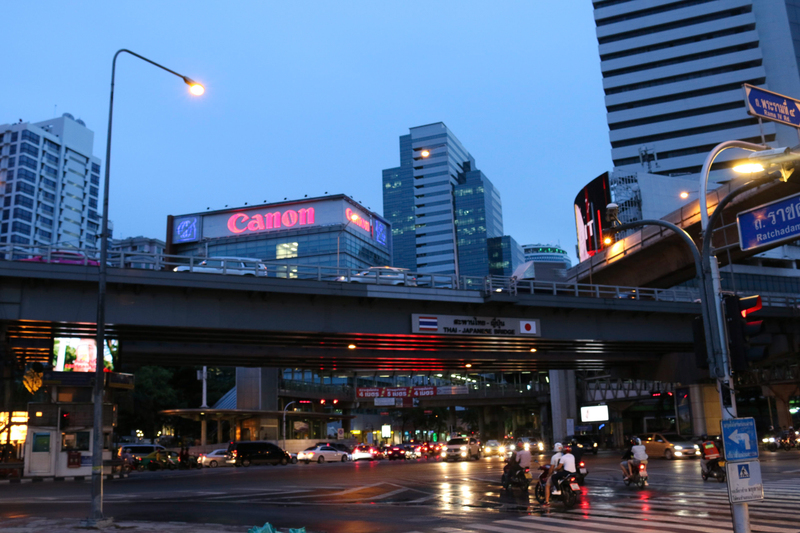 At night Silom is home to the famous nightlife scene of Patpong. 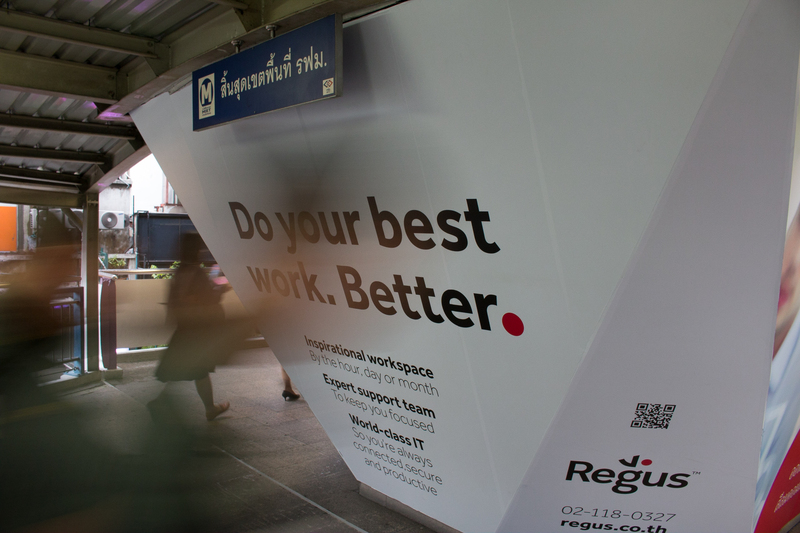 We visited a shopping centre in Silom in the hope of escaping torrential rain, walking along the walkway connecting the MRT Silom and BTS Skytrain Sala Daeng – two of Bangkok’s most sophisticated transportation systems. From the walkway we could look down on the streets below seeing the mass of activity that goes on during day-to-day life in Bangkok’s capital. Looking at these two districts independently, you wouldn’t believe that they sat so close to one another in the Thai capital. Both are a must-see if you want to experience the diversity of the city. 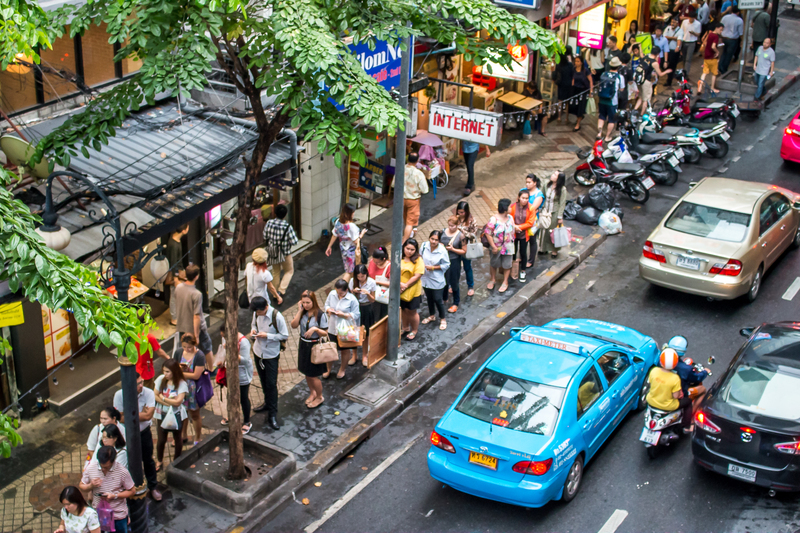 If you visit Silom, be sure to take some time people-watching and taking in the hectic activity of the region. You won’t believe the things you’ll see!